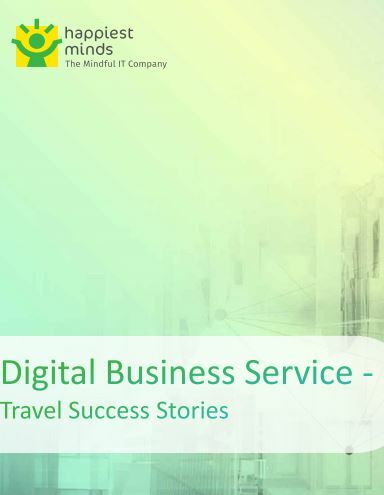 Happiest Minds helped the client implement intelligent product recommendation system which improved operational efficiency by nearly 40%. 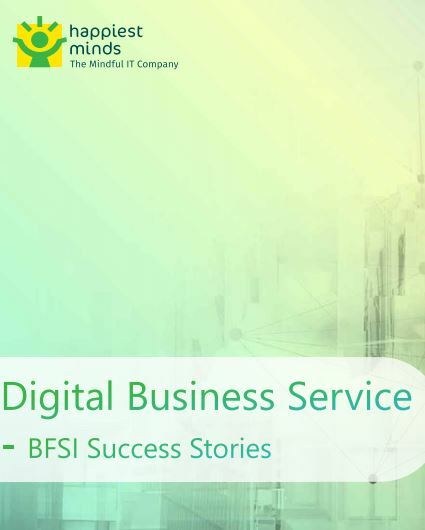 Happiest Minds implememnted Digital Assistant & Knowledge Management Solution for a Leading IT Outsourcing Specialist. 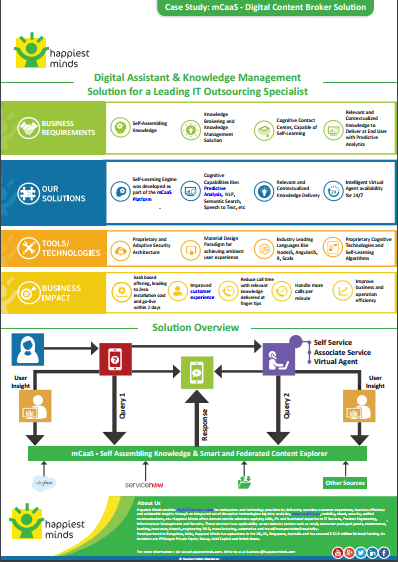 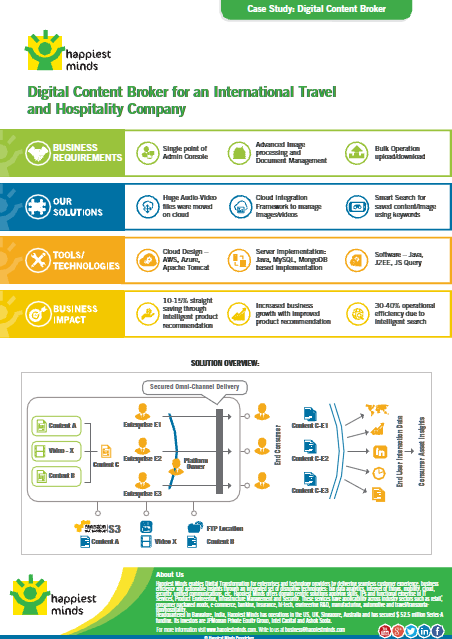 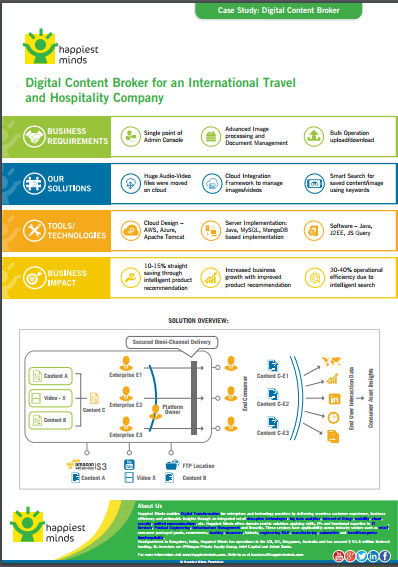 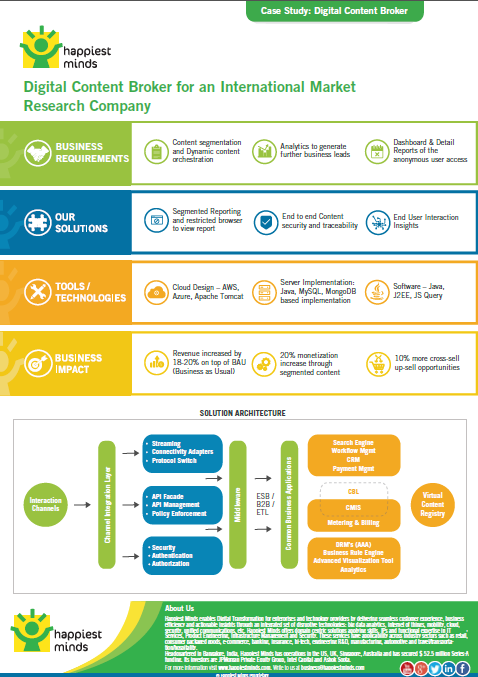 Our SaaS based mCaaS solution improved customer experience, business and operation efficiency for our client.